Edinburgh-based theatre group Ludens Ensemble are bringing their Forbidden Stories to Scotlands oldest working theatre, The Theatre Royal, Dumfries Tonight, Saturday, March 16th 2019. 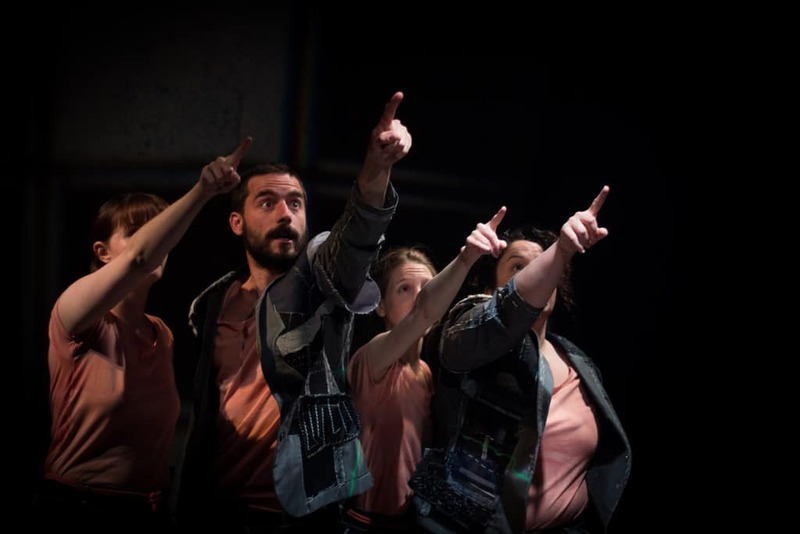 Forbidden Stories is a multimedia theatre performance that explores the themes of exile, displacement and borders through true stories of solidarity that took place in the separated island of Cyprus. Cyprus is an island country that remains de facto partitioned in two. The intercommunal violence between Greek and Turkish Cypriots that followed independence in 1960 culminated in 1974 with a failed coup de ta organized by Greek Nationalists who sought union with Greece and the subsequent intervention of the Turkish State which occupied the north part of the island. Since then the two communities remain separated. Drawing from interviews we conducted with members of both the Turkish and Greek communities in the past two years, we have developed a theatre performance based on stories of solidarity, mutual aid and friendship that aim at transcending the current state of division in Cyprus. Four performers bring the voices of different characters on stage in a performance that incorporates storytelling with video mapping projections, live camera snippets and music. This performance makes little use of dominant historical perspectives and rather focuses on the lived experiences of the local populace. The performance aims at creating a platform that will function as a bridge between the two communities to gradually form a common narrative about ‘life’ in “Cyprus.